At Newcrete, we have completed a variety of projects for countless customers. Let us help you with any project involving concrete pouring, precast concrete products and more. Take a look at some of our previous projects to see what we can do for you, then contact us when you are ready to schedule your project. 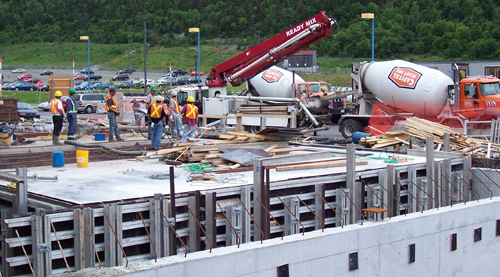 Description: In early 2012 Capital Precast was contracted by Reinforced Earth Corporation to manufacture 112 Techspan Panels for the Waterford River crossing on the Team Gushue Highway extension. When placed upon the reinforced concrete footing, these panels join at mid-span of the crossing to form an arched reinforced concrete culvert. We manufactured all the Tech-Span sections and reinforced panels at the Capital Precast facility, then transported them to site for installation. Capital Precast has been manufacturing precast panels for Reinforced Earth Corporation for the past 20 years. Description: Capital Precast was awarded a contract to manufacture nine CPCI 1900A prestressed girders for the reconstruction of the Topsail Road Overpass. 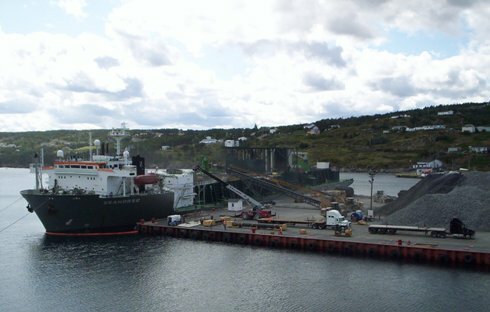 Some of the largest and longest girders ever made in a precast plant in Newfoundland, each girder measured 38.0m and had a total weight of 60.0 ton. Capital Precast is the only company in Newfoundland certified by CSA to manufacture precast concrete girders, and we have two stressing beds and the capacity to produce pre-stressed girders up to 44.0m in length. Description: Capital Precast is the only company in Newfoundland and Labrador with the rights to manufacture the ReCon Retaining Block for retaining wall systems. These systems can be used in both commercial and residential applications. We produce two types of blocks that come in various sizes to meet any application. Capital Precast has been manufacturing ReCon block for over 10 years, and we’ve become a viable part of the ReCon Company affiliates. Description: As part of constructing the new radiation unit for the Dr. H.Bliss Murphy Cancer Centre, we pumped and delivered high density concrete. 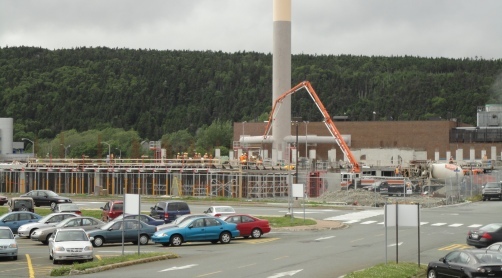 Description: Capital Ready Mix supplied and pumped 9000m3 of concrete for the new Memorial University of Newfoundland Parking Garage. Description: Capital Ready Mix, in conjunction with Pennecon Energy Marine Base, crushed and loaded 160,000 tonnes of rock aboard the Seahorse, which was used to protect pipelines offshore. Description: Tiffany Village is an adult living high rise complex built by Allied Constructors Inc. on Tiffany Lane, St. John’s. Using experienced personal and 32 metre pumping equipment, Concrete Products supplied and placed the concrete for this project. Description: Capital Ready Mix supplied approximately 20,000m3 of concrete, 35,000 square feet of retaining wall units and 160,000 masonry block for the construction of our National Defense Building. The majority of the concrete was placed with concrete pumps. 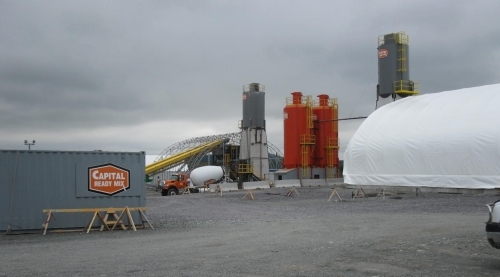 Description: In February 2010, Capital Ready Mix was awarded a contract from Vale Newfoundland & Labrador Ltd to supply, erect and operate two Concrete Batch Plants at the site of Vale’s Long Harbour Processing Plant.The two plants, capable of producing 100m3 per/hr combined total (with the primary plant capable of 80m3 per/hr. and secondary, or back-up, capable of 50m3 per/hr), produced 120,000m3 of concrete over a 27 month period. The plants are fully automated, winterized and totally independent of each other.